If you’ve been to the gas station lately, you probably just about turned cartwheels. I know that my last fill-up was almost $15 less than it was a few months ago, which goes along with a recent report that prices are the lowest they’ve been all year. While this seems like a great thing, I have some unfortunate news for you. Cheap gas prices can actually be a BAD economic sign. 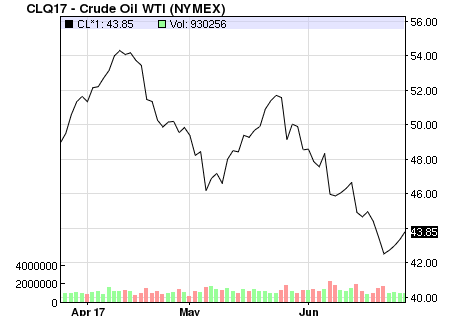 While these plummeting prices are awesome today, they could be the precursor to an oil industry crash. In turn, this could lead to an economic collapse like the one in Venezuela. Here’s what the economic experts say about cheap gas. Vipin Arora, an economist with the U.S. Energy Information Administration, did some research that says plummeting gas prices aren’t good for everyone. The story is essentially about consumption, which accounts for around 70% of inflation-adjusted U.S. GDP. Consumers have greater disposable income and increase expenditures on non-fuel goods and services. These rises filter through to investment and employment, and are counterbalanced somewhat by higher imports. The reemergence of the U.S. as a major oil producer has complicated this narrative: lower prices have a negative effect on production, investment, and employment in oil and gas extraction and related sectors. The question is about the balance between these forces—holding everything else constant, do the falls in production/investment dent or even reverse gains in consumption? People who are really broke (and there are a LOT of those people) will not realize enough savings to go out and bolster the economy with all of their newfound money. $15 a week (I’m projecting this based on what I saved) isn’t going to make a huge difference to people who are really struggling in a way that will be greatly beneficial to the wider economy. From what I’ve read, the magic number is $40 per barrel. When prices drop below that, oil rigs are actually working at a loss. Today, the NASDAQ has oil at $43 per barrel, so we’re hovering near that danger point. Bank of America predicts that prices will plummet to $30 oil. Is There Hope for Higher Oil Prices? Look at this chart from NASDAQ. As you can see, the downward trend tends to go up for a day, then plummet even further than the previous day. One step forward, two steps back. …So if you are looking for a “canary in the coal mine”, keep your eye on the performance of energy junk bonds. If they begin to collapse, that is a sign that all hell is about to break loose on Wall Street. We never fully came back from last year’s plummet and we’ve headed downhill again. The chickens of our debt-fueled lifestyles are coming home to roost. “It’s interesting that during the entire term where Obama was president, the Fed really only raised rates once. I mean, they raised them a second time, but that’s after the election. Since Trump was elected they’ve already had three rate hikes and they’re planning on doing more. You need only to look at Venezuela to see what an oil crash can do to a country. Yes, of course, the socialist government there had a lot to do with their economic collapse, but they are still one of the most resource-rich countries in the world. When the bottom dropped out of the oil industry, their currency became all but worthless. The value of the American dollar, too, will fall along with the price of oil, due to the high percentage of the GDP that industry holds. This could easily be America. Are you prepared for an economy like that one? I know that I sound like a broken record, but the time to get ready is running out. I want you and your family to have safety and security, regardless of what may come.